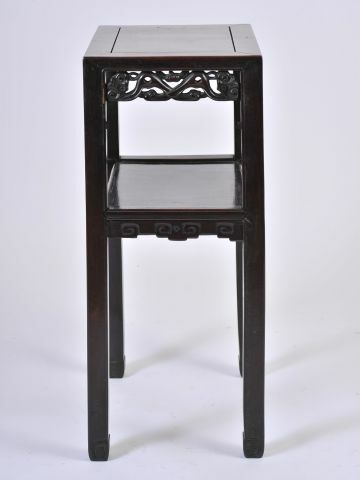 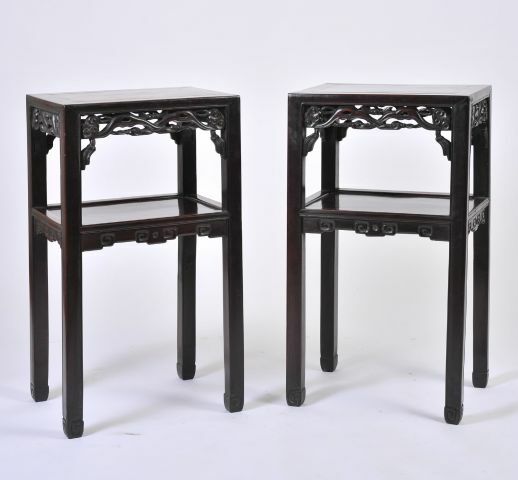 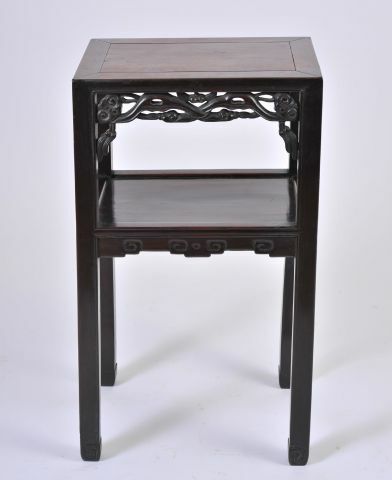 These pair of Chinese Hardwood stands are both handsome and well-proportioned in design. 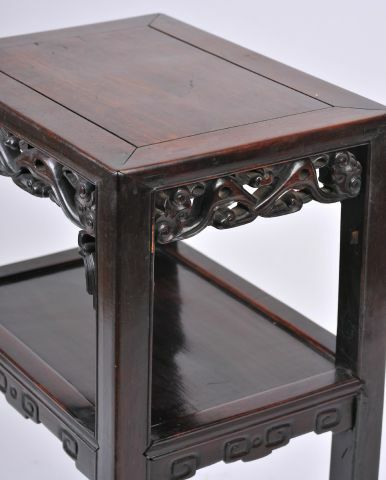 The stands feature a secondary lower shelf with a decorative apron border as well as one around the top. 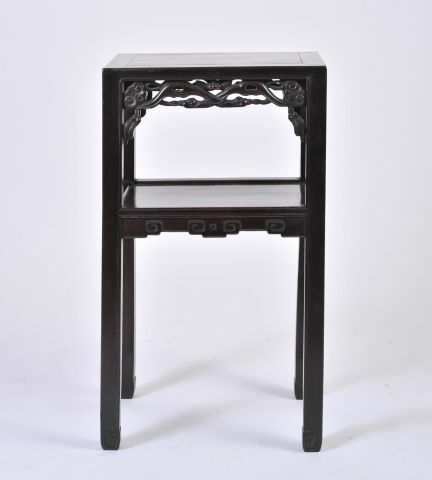 Each one measures 17 � in � 45 cm wide, 12 � in � 32.4 cm deep and 31 � in � 80.6 cm high. 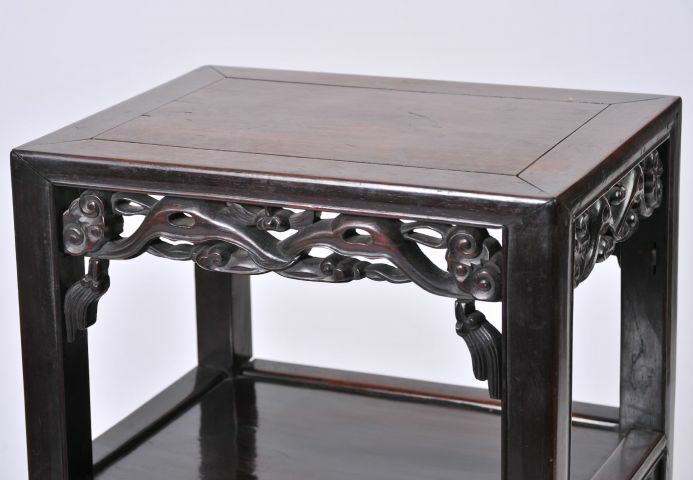 These tables would make a perfect accent piece to many different style rooms and settings.